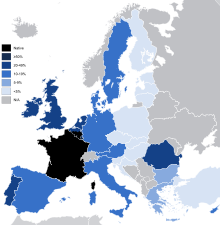 Due to similarities between Croatian, Serbian, Bosnian, and Montenegrin, there were some unofficial proposals to accept only one hybrid language as an official EU language as opposed to four separate ones (as in the International Criminal Tribunal for the former Yugoslavia) in order to reduce translation costs. 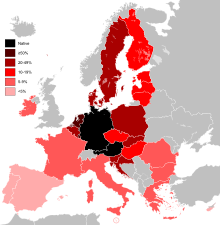 In negotiations with Croatia, however, it was agreed that Croatian would become a separate official EU language. The same issue may arise in the accession negotiations with North Macedonia whose official language is closely related to Bulgarian. ^ Gino Dino, 11 December 2015, http://slator.com/demand-drivers/ireland-ramps-translator-hiring-irish-gaelic-gets-nod-eu/, retrieved 1 March 2016. This page was last edited on 21 April 2019, at 20:44 (UTC).